Pam Burridge "2017 Woman of the Year"
Described by Surfer Magazine as the “Mother Superior of women’s surfing”, Pam Burridge arrived at a time when the sport needed her most. Sister of an Olympic swimmer, Burridge began surfing in 1975 at the age of 10. She won the Australian National Titles at 15 and instantly turned pro. But the quest for a world title proved somewhat elusive for much of her 15 years on tour. Despite being touted as a perennial favorite year in and year out, the World Champion title eluded her for much of her early career. She finished her rookie season rated fifth, then came in second the following year behind California’s Debbie Beacham. From 1983 through 1986 she finished third, third, third and second, then dropped to seventh in 1987 before jumping back to the runner-up spot the next two years. By now, the entire world (including Burridge herself) was anxiously waiting to see her atop the rankings where she belonged. By the end of 1989, she was living with now-husband Mark Rabbidge, a top-ranked longboarder and surfboard shaper. 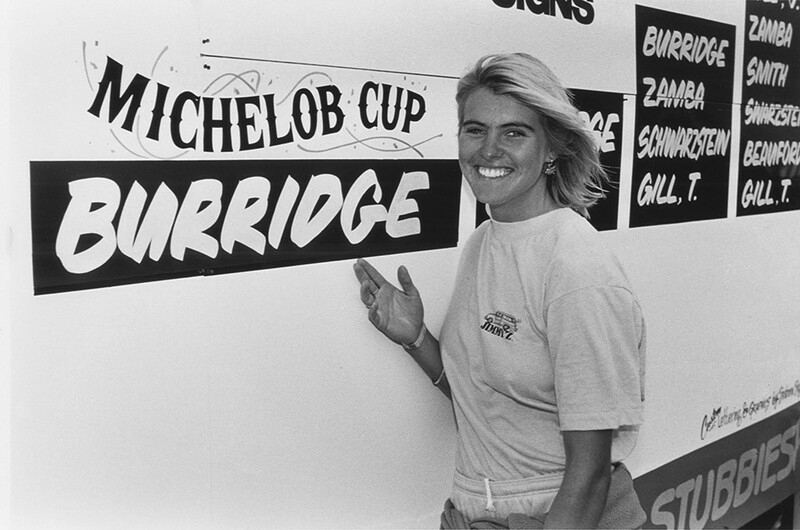 Going into the 1990 season, Rabbidge helped Burridge with surfboards, heat strategy and technique. That extra boost paid off as Burridge entered the final event of the season with a slim ratings lead. She paddled out at 12-foot Sunset Beach, seemingly inspired by the challenge at hand, and convincingly won both the contest and the world title. Burridge and Rabbidge were married in 1993 while she continued to compete until 1998, racking up yet another pair of runner-up finishes in the process. They live in rural Australia and have two children. Of course, Burridge runs a surf school to keep the aloha flowing to the next generation of up-and-comers. 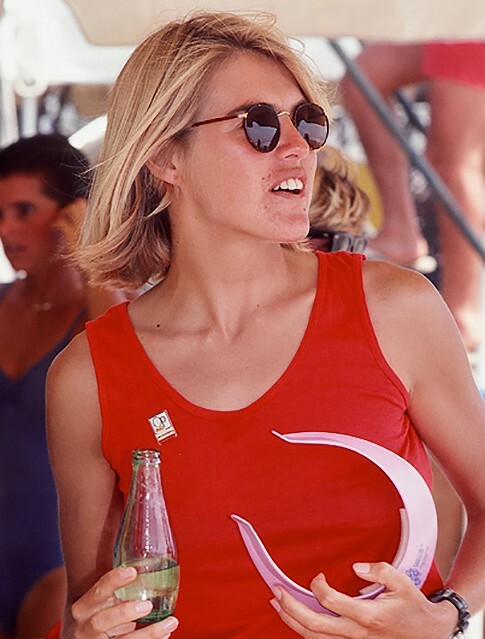 PHOTO: Pam burst onto the ASP Pro Tour scene in 1983 and won four events including the Michelob Cup in Cardiff, California.